A .925 sterling silver purity cross necklace with heart and key. The purity cross measures 11/16" tall x 1/2" wide. With the hoop/bale, the cross pendant measures approx. 7/8" tall. 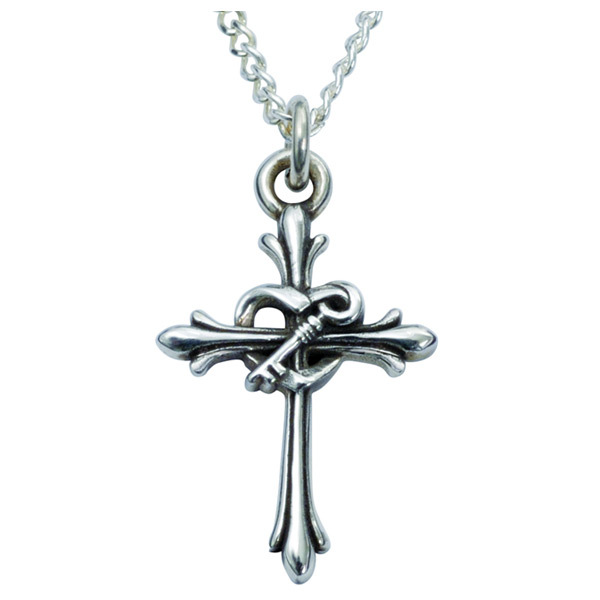 This is a small, but sturdy, purity Christian cross necklace for women. Includes 18" .925 sterling silver curb chain necklace. "Set your affection on things above, not on things on the earth" (Colossians 3:2). We guarantee our Purity Cross Necklace with Heart and Key, Sterling Silver to be high quality, authentic jewelry, as described above.